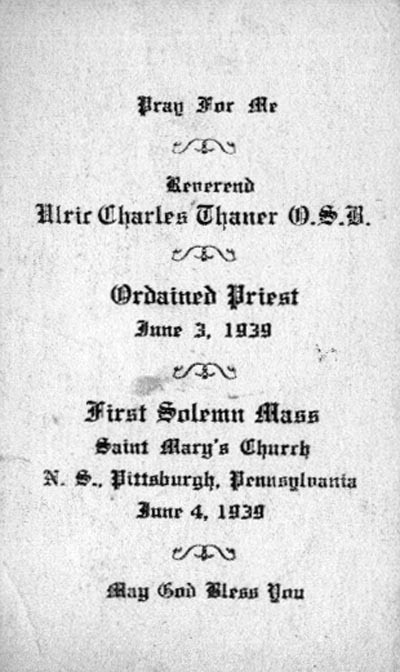 Reverend Ulric Charles Thaner, O. S. B., Ordained Priest, June 3, 1939, First Solemn Mass, Saint Mary's Church, N. S., Pittsburgh, Pennsylvania, June 4, 1939. Are you looking for THANER ancestors? If so, we suggest posting a query to our Community Message Board to get assistance from other researchers.